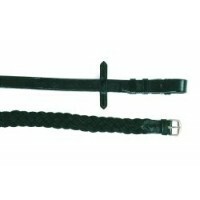 An extremely popular lead to suit the Navaho western range and others, in ¾" dark bro..
Soft but firm in hand with leather ends and buckles. 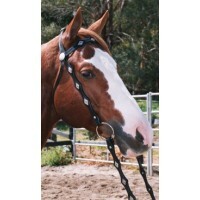 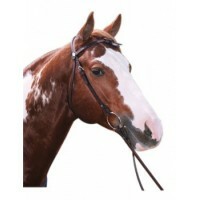 Available Colours: Brown, Black, White..
Scalloped shaped mahogany leather bridle with finely etched silver concho's and reins. 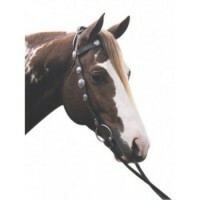 Matching..
Black leather bridle with silver diamond conchos on browband and cheekstraps, complete with black sp..
Light to mid tan leather loaded with german silver right down to the reins. 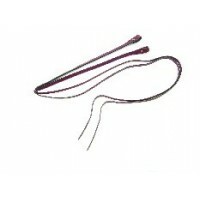 Matches Silver Stud.. 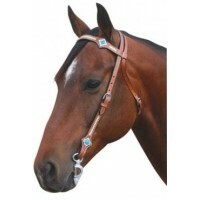 Pretty bridle with stunning turquoise coloured stones and buck weave thread. 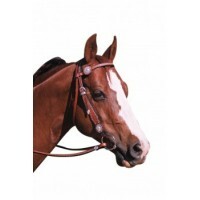 Complete with reins.&nb..
Mahogany leather bridle with nickel plated fittings, featuring elegant knotted brow and matchin..
A pair of leather western split reins that can be matched to a western bridle or even a barcoo bridl..